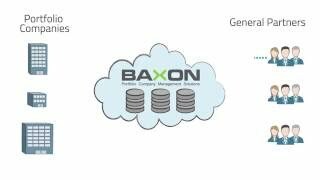 Preqin Solutions, formerly Baxon Solutions, delivers market-leading cloud collaboration software for streamlining the entire portfolio management process, including monitoring, management and reporting of investment performance. The platform automates compilation, analysis and exchange of a portfolio's financial information. Preqin Solutions is now fully integrated with Preqin performance data to allow custom benchmarking against over 8,500 private capital funds. Users can also benchmark performance relative to public markets using our PME engine, incorporating LN, KS, PME+ and Direct Alpha PME Methodologies in addition to leading public indices. The platform is designed to manage portfolios across a wide range of asset classes and investment strategies: traditional buyouts, venture capital, infrastructure and more. So far it has helped in reporting information for more than 1,500 companies worldwide and clients exceeding $180 billion in assets under management. Portfolio monitoring: financials, KPIs, ESG, narrative, covenant tracking. Valuations meeting EVCA, ASC 820, IFRS 13 and IPEV guidelines among others. Aggregation for portfolio-level reporting with slice & dice capabilities. Current and forecast net IRRs by fund. File repository for archiving documentation. Complete traceability and audit trails. Exit planning and sensitivity analysis. 100% web-based live database linked to Excel. Automatic reminder and approval workflows. Fully and seamlessly integrated with all Legacy Systems through proprietary API.